Gymnastics is the nursery of all sports! It develops the skills of fundamental movement, confidence and competence, and it provides the foundation for future sporting success, lifelong, active and healthy participation in physical activity. It keeps participants fit and provides the skills of control, flexibility and strength which enable them to leap, jump and perform tricks like no other. Gymnastics is the name for a whole range of different gymsports, or disciplines. These include those gymsports included in Olympic Games such as Men’s and Women’s Artistic Gymnastics (the one where the men show super human strength on Rings and the women do summersaults on the Beam), Rhythmic Gymnastics (the one where they throw a ball, hoop or clubs in the air while doing a turning upside down, and catch it), and Trampoline (where they jump as high as the roof). Gymnastics also includes Acrobatic and Aerobic Gymnastics, as well as Cheerleading and Gymnastics for All – an all-encompassing gymnastics discipline for people of all ages, gender and ability. Is gymnastics easy to learn? Children everywhere practice cartwheels and handstands in the school yard, or at home. These activities are based on the foundations of gymnastics and are often already a part of a child’s everyday life. With support and training, participants can continue to build on these skills and explore the full range of gymnastics. Oceania Gymnastics clubs currently offer programs that can support children from 1 to 14 years of age to start gymnastics, with many progressing right through to adult classes. Regardless of your age or ability, gymnastics has something to offer everybody. 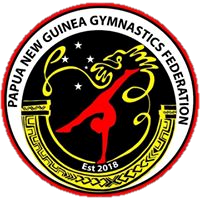 Well over 250,000 people currently participate in regular gymnastics programs throughout Oceania, delivered by close to 7,000 coaches and many thousands more teachers. How else can one participate in gymnastics? Coaching, judging and administrating gymnastics are roles that people as young as 14 years can undertake, either in a volunteer or paid capacity. Education workshops and courses provide opportunities for older gymnasts, parents, teachers or anybody passionate about physical activity can attend to gain skills and knowledge that can contribute to personal and professional development of individuals.